21th March 2012 – With only 135 days to go to the start of the 2012 London Olympic Games, London is calling upon the best Elite BMX riders worldwide to qualify. The UCI BMX Supercross World Cup Series races are the main qualification events for the Olympic Games and are a major opportunity for riders to score valuable points. The first opportunity to do so is at the UCI BMX Supercross World Cup, scheduled for 30th – 31st March in Chula Vista, California. Around 35 seconds – that is all it takes to race a Supercross track – giving all eight riders a fighting chance to win this explosive battle. It is impossible to predict who will be this year’s top rider, but looking at previous results, and at the top five countries, we might want to keep an eye out for current World Champion Joris Daudet (FRA). Connor Fields (USA) had a great end of the 2011 season as well, winning the last event in California. Current Olympic Champion Maris Strombergs (LAT) is always a fierce competitor as is Sam Willoughby (AUS) – winner of the 2009 UCI BMX Supercross World Cup. Among the Elite Women current World Champion Mariana Pajon (COL) looks strong and is tipped as one of the favorites to claim top honors in 2012. Caroline Buchanan is the best performing Australian rider, and while American Arielle Martin is being challenged by a number of talented young girls, it still looks like she is the American to beat in 2012. From France we see a number of women Elite riders that are on a par, such as Laetitia Le Corguille and Magalie Pottier. At the last 2008 Olympic Games in Beijing, France was the strongest nation; question is, will it be again in 2012? 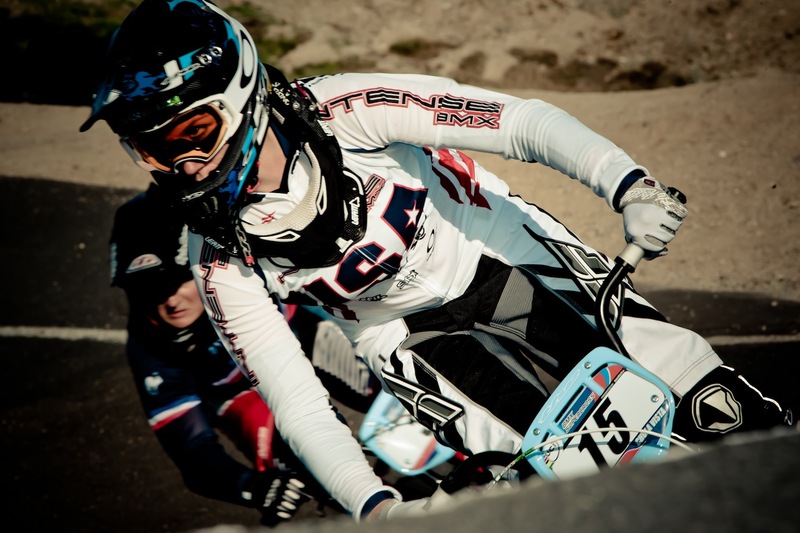 Romana Labounkova was the best performing Czech rider at the UCI BMX World championships in Denmark in 2011 ranking 13th, but will she hold her country’s position in the top five this year? Then there are two women riders, standing out almost alone, that represent their countries at the highest level. Sarah Walker (NZL) and Shanaze Reade (GBR) were top performers in the last Olympiad, but their countries are not represented in the top five ranking this time around. Although work is already under way to build a London 2012 replica track in Chula Vista, the UCI BMX Supercross World Cup will be held on the existing well-known Supercross track; by many regarded as the best and fastest track in the world. The 2012 UCI BMX Supercross World Cup is proudly sponsored by GoPro, Oakley, Red Bull, Troy Lee Designs, Leatt and ProGate.